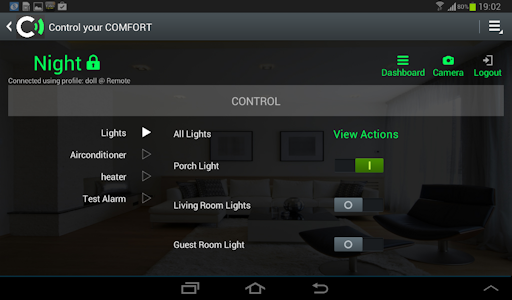 This does not replace the old 1st generation Comfort app on the phone and tablet. Both can coexist at the moment in the same device. UCM/ETH03 allows 2 simultaneous connections to Comfort via 2 separate ports. 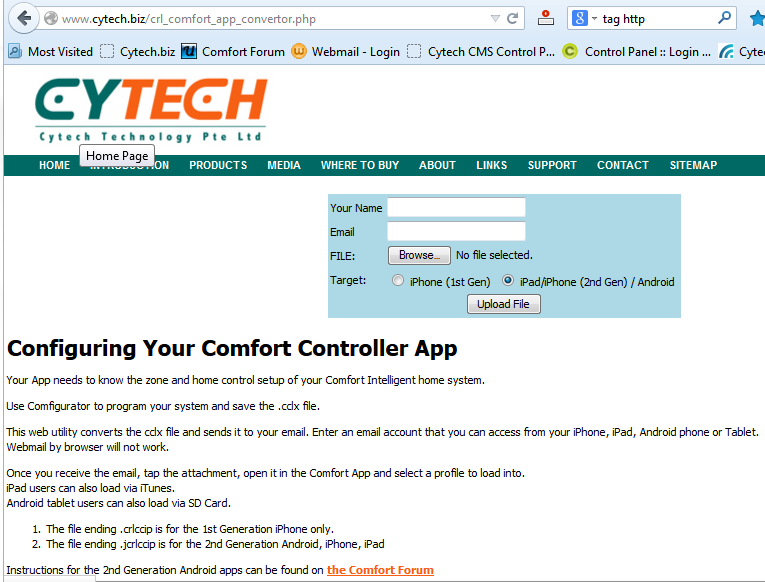 You must ensure that your Phone is connected to the correct WiFi network ie the same as your Comfort UCM/Eth02. If you connect to the wrong network you will not only fail to connect but will experience temporary lack of response from the App while it tries to connect to a system that is not there. 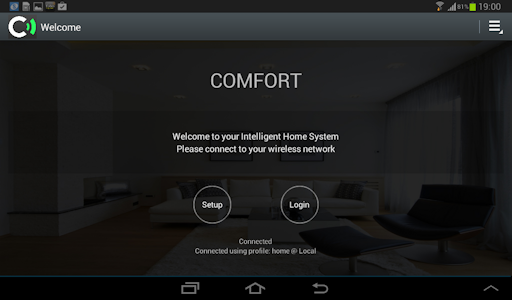 By connecting your Comfort system to a WiFi network you are potentially opening up a security vulnerability. Ensure that your Wifi network uses the highest level of security which is appropriate. Accessing Comfort from the Internet exposes the system to additional vulnerabilities. 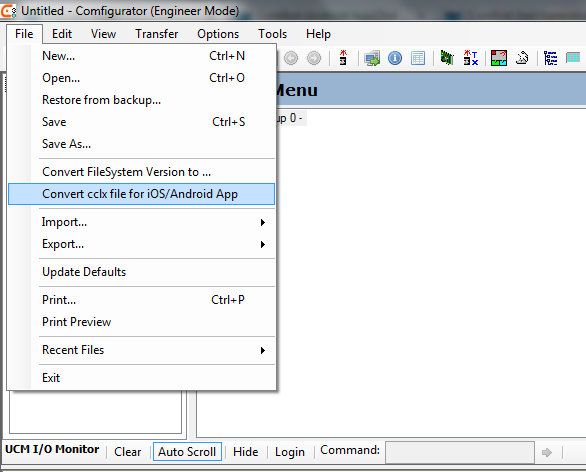 The zones and Control Menu programmed by Comfigurator are saved as a .cclx file. The IP Addresses for Local and Internet are also taken from the cclx file. 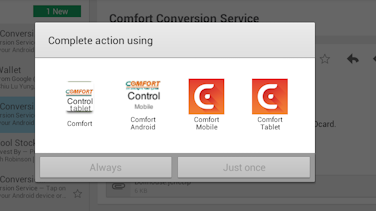 This information is exported into the Comfort app using a web link. Press UPLOAD FILE when done. 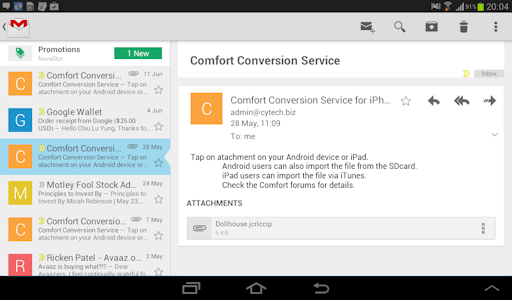 Next, open the email app on your android phone or Tablet and read the email with the title "Comfort Conversion Service". Next, a window will pop up "Select Configuration to Use"
In the example above, 4 profiles have been set up in the app setup page; doll, office, home, test. The IP Addresses and Port numbers for Local and Remote are taken from the cclx file. You can change the IP addresses and port here, or preferably enter these in Comfigurator and re-export into the app. 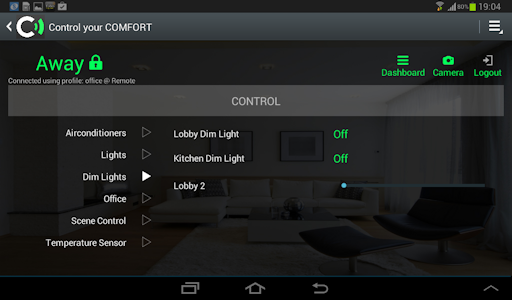 Select either Local or Remote box. On the Camera side, select "InApp", "Basic", or Pro"
"Basic" and "Pro" means that one of the 3rd party apps IP Camviewer Basic (free) or IP Camviewer Pro (paid) are used to set up and show the camera. 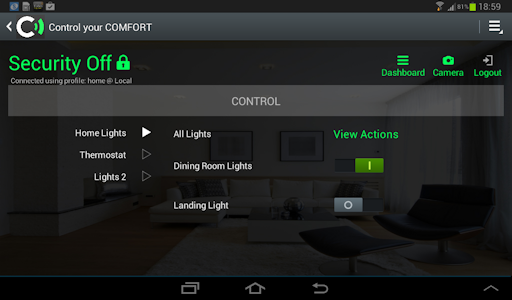 This means that the 3rd party app will take control when you wish to view one of the cameras. 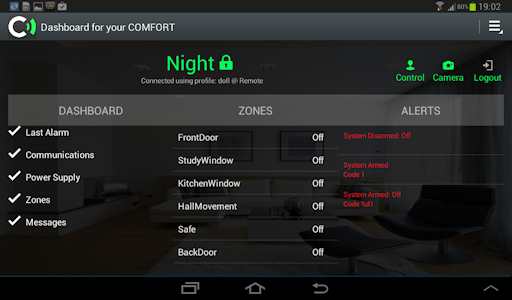 If you select InApp, up to 4 IP cameras can be set up. Select the Camera 1 to 4 and select the Brand and Model from the dropdown list. "Connected" means that the app is able to connect to the UCM/ETH. The profile selected is also shown below and local or Remote connection. If it is not able to connect, probably because the IP address or port is incorrect, or if there is already an active connection, the status will be "connecting.." or "not connected" or "data error"
UCM/ETH03 (ETH03 firmware 2.0.6) supports 2 ports for simultaneous connection, but only 1 connection can use each port at a time. 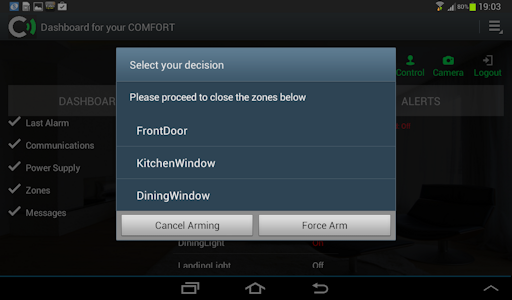 If there are any open zones when arming, you can choose to cancel the arming or to force arm and auto bypass the open zones. In Cameras page you can see up to 4 cameras. 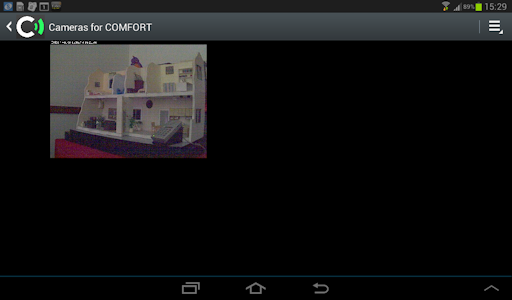 The in-app view is supported for certain cameras. 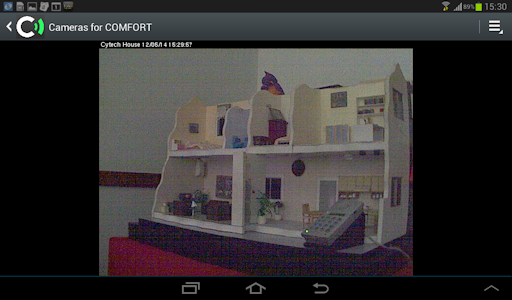 the External IP Cam viewer app can also be selected.